We understand our responsibilities to treat personal information with respect, and acknowledge it is important to make you aware of how we collect, store, and disclose information you have shared with us. Our aim is to assist you to make an informed decision about sharing personal information with VI.  When this policy refers to “Arms Around the Child Volunteer Invest”, “VI”, “us”, “we” or “our” it refers to Arms Around the Child Volunteer Invest, which is responsible as the Data Controller for the security and management of your personal information. References to “Independent Local Teams” relate to the independent organisations responsible for hosting volunteers and students recruited and sourced by VI. While we promote best practice data protection measures, we make no representations or warranties in relation to the privacy practices of Independent Local Teams, or any other third-party organisation. Details of volunteer programmemess you have either participated in or enquired about, including your travel details, programmeme feedback and testimonials. Personal data is either supplied by you directly to VI, or provided to us by someone representing you. Information not collected on our application form is additionally sourced via email and other direct volunteer communications, including social media. We may also collect personal information if you choose to enter a scholarship or other promotion, subscribe to our newsletter, or request a brochure or other document. VI does not receive or have access to personal information such as bank or credit card details. To review your suitability for a selected volunteer programmeme via an automated or manual method. To enable an Independent Local Team to make arrangements necessary for your volunteer programmeme. To contact you through a range of mediums to discuss any engagement you may have had with us, including your confirmed volunteer programmeme, any feedback you may have provided, or any other service you have requested us to perform. To allow a listed emergency contact or insurance provider to be updated about any details regarding your programme, including sensitive personal information in circumstances involving emergencies or concerns about volunteer safety where it is appropriate for them or VI to act on your behalf. To meet the requirements of an institutional relationship or insurance policy. To make improvements to our programmes, our website, applications and marketing, and to provide insights that help us to meet your needs better. To promote our volunteer programmes. Feedback and testimonials provided, along with your name and images shared by VI volunteers may be used for marketing and promotion purposes. To produce research and analysis for the purposes of measuring and communicating the impact of volunteer programmes on individuals. The outputs of these activities will be presented at an aggregate level only and will not be attributable to any particular individual. Data relating to criminal offences is not shared with any national law enforcement bodies. Presenting to you information that we believe will be of interest and relevance, through a range of marketing and communication channels. Identifying and recommending volunteer programmes or associated services that we think may be of interest to you. Enhancing, modifying personalising or otherwise improving your experience of our website, marketing or communications. To better understand the effectiveness of our website, marketing and communications with you. We may choose to market and promote this information to you via a wide range of mediums based on personal information held. Whenever we process your data for this purpose we will keep your personal information rights in high regard and take steps to safeguard personal information. You can opt-out of receiving marketing information, or allowing us to process your information for these purposes at any time by using ‘unsubscribe’ links, or contacting us directly. We process this personal information on a number of legal grounds, including with your consent, for the purposes of providing services to you under an existing or potential contract, to comply with legal obligations imposed on us, to protect your vital interests (for example, in the case of medical emergencies) and / or for our legitimate interests where these are not overridden by your rights. We will only use your personal information within VI for the purposes for which it was obtained. We do not provide your personal information to other third-parties without a lawful ground for that disclosure. We will not, under any circumstances, share or sell your personal information with any third party for their own marketing purposes, and you will not receive marketing from any other companies, charities or other organisationss as a result of giving your details to us. Where your personal information is transferred to a third party in a non-approved country we ensure that suitable safeguards are put in place to ensure your personal information and rights are protected. Internal stakeholders: In order to undertake the processing as set out above, our normal business and to provide you with a high quality of service and support, we may disclose your personal information to our employees, directors, contractors or approved third-party service providers located either in the UK or overseas. Independent Local Teams: These organisations are independent from VI and access the personal information of volunteers via for the purpose of arranging and providing in-country services. We have safeguards in place to ensure that these Independent Local Teams protect your personal information and only use this as authorised by VI. Your emergency contact or insurer: In some circumstances, such as in emergencies or when volunteer safety is a concern, it is appropriate for VI to share your personal information with your listed emergency contact or your insurance provider. Our flights partners: Where a volunteer notifies VI that they wish to receive quotations for flights or other travel services, we may share personal information such as your name, email address, travel dates, destination and home city with our flights partner. This information is provided solely for the purpose of providing a quotation that is relevant to your proposed travel. may share your name, contact details and the programme details with this institution. We do not allow these external organisations to use your data for their own purposes or disclose it to other third parties without our consent and we will take all reasonable care to ensure that they keep your personal information secure. We will also comply with legal requests where disclosure is required or permitted by law (for example to government bodies for tax purposes or law enforcement agencies for the prevention and detection of crime). We respect your right to know details about the information we hold about you, and to correct any inaccuracies in our records. You can view and amend much of the personal information we hold about you by accessing your VI account, however if you require further details you can contact us directly and complete a Data Subject Access Request form. All requests for personal information will be acknowledged and provided within 30 business days. Should you wish to opt-out of receiving communications from VI at any stage you can notify us by using ‘unsubscribe’ links or other opt-out tools provided in email communications or in forms used to apply for volunteer programmes or join an VI promotion or scholarship. Similarly, you can request that we permanently remove all personal information that we currently hold about you by contacting us. Once we are suitably notified, we will action your request within a reasonable timeframe. You also have the right to withdraw your consent to our processing of your personal information at any time, the right to request the personal information we hold about you is rectified, that any of our processing is restricted and the right to data portability. You can also choose not to provide us with some of the personal information we request, however this may result in us being unable to provide you with all of our services. Please contact us for further details about any of these rights. We are only permitted to store your personal information for as long as necessary having regard to the purposes for which it was collected or a related or ancillary purpose. Generally, we keep your information in line with our data retention policy. Therefore, we may delete your personal information after a reasonable period of time and, if you have not used our services for some time, you may have to re-enter or re-supply your personal information to us. At times, we may need to retain your information for a longer period where we need the information to comply with regulatory or legal requirements or where we may need it for our legitimate purposes. If we don’t need to retain information for this period of time, we may destroy, delete or anonymise it more promptly. Although we try our best, VI does not guarantee that website visitors will have uninterrupted or error-free access to, and use of our website. We also can’t guarantee that any files that are able to be downloaded are error-free and free from viruses or other defects. All website users need to rely on their own judgement in relation to the accuracy, completeness and suitability of all content on the VI website. We use both first-party cookies and third-party cookies on our website. By using our website, you agree to us using both types of cookies in the ways described below. Third-party cookies, including those provided by Google and Google Analytics are used on certain pages on our website. The information collected by these cookies is used for the purpose of compiling analytical reports that enable VI to measure and record the number of visits to various sections of our website, the average time spent on the site and the pages viewed. They do not allow Google to collect any personal information from any users of our website, but they do enable Google to show our advertisements to internet users based on their previous use of our website. Neither VI, or any third-party, store any personal information in cookie data. Users who do not want cookie information to be collected or shared with third-parties can disable the cookie feature within their browser. We aim to ensure your query is responded to and resolved in a timely and manner. If you would like to make a complaint or learn more about your rights in relation to your personal information, please contact a the UK Information Commissioner (www.ico.org.uk), or any other supervisory authority.